Beautiful way to get around your city. Never miss your transit again. 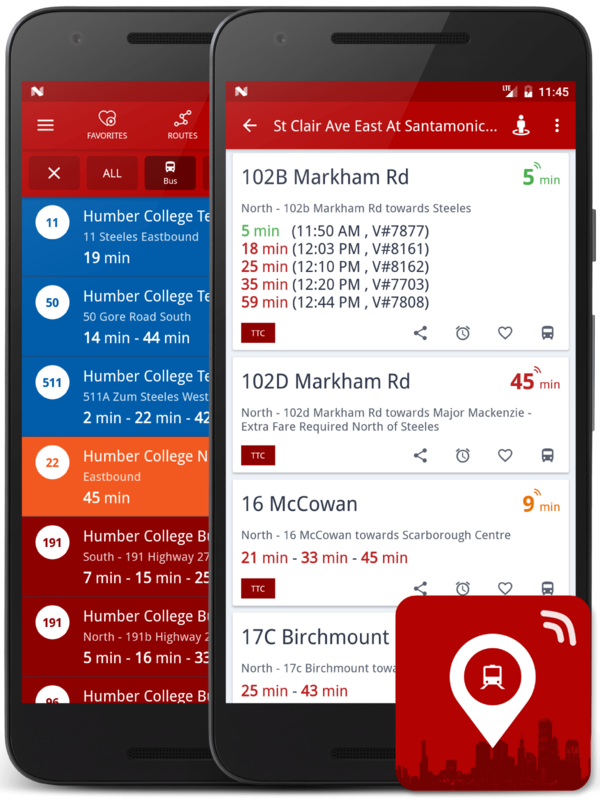 Find out when your next bus/subway is arriving without fuss. Different colors made easier for reading. Not sure how to reach your destination? Tell us where you want to go and we'll find the best route to get you there. 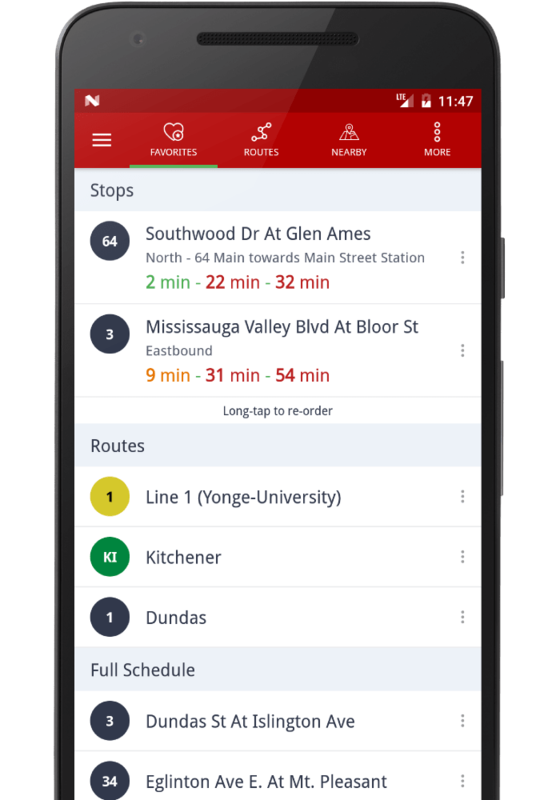 Find out when your next bus/subway arriving using your location. 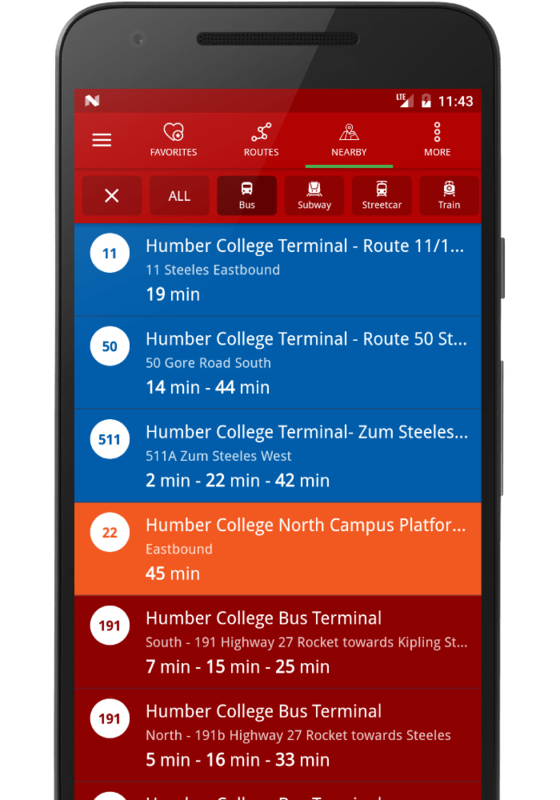 Stops will be sorted by route and proximity, so you don't need to waste time scrolling through all stops. 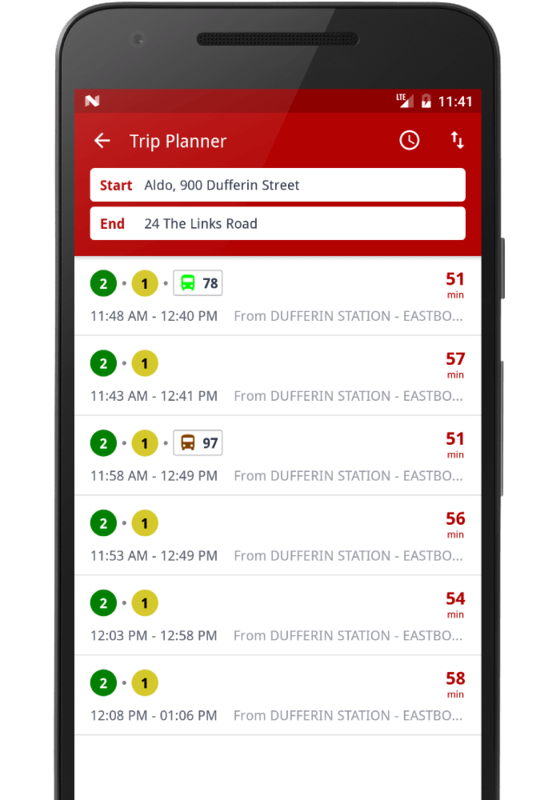 Personalize CityTransit by adding favourites for your frequent stops, routes and searches.